A side from supporting an organization that encourages education in physics, and nurtures the desire to learn, there are several other benefits to becoming a member of the O.A.S. Our members are close friends. We have a great time when we get together. We all have a common interest in astronomy that we enjoy sharing that with the Community. The O.A.S. hosts many events through out the year. These events cater to both the young and old, and provide spectacular sights for all. 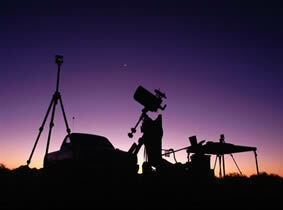 Our members receive the help they need to acquire the skills for great astronomical adventures. When our members get together, we are all willing to provide help for each other. Members receive the Star Diagonal, the O.A.S. monthly newsletter, and are entitled to discounts on major astronomy magazines. Members are also invited attend member only campouts that are held throughout year. 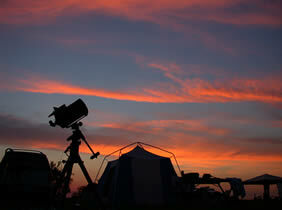 We really recommend that you come to our meeting or a public Star Party at Antelope Island and check us out. You can join if you choose while you are there. If you want to join by mail, send a check for $20 ($25 if you want to join the Astronomical League) to the address below. Please include a note with your name, address, phone and email.